According to Toronto Public Health (TPH), close to 100 people struggling with homelessness died in Toronto in 2017. On average, that’s close to two deaths a week. Over the past couple of years, homelessness has become a serious issue, especially in our winter months when sleeping rough can become fatal. While shelters are doing their best to meet demand, they are often overcrowded and strain to accommodate the amount of people wanting to use their services. 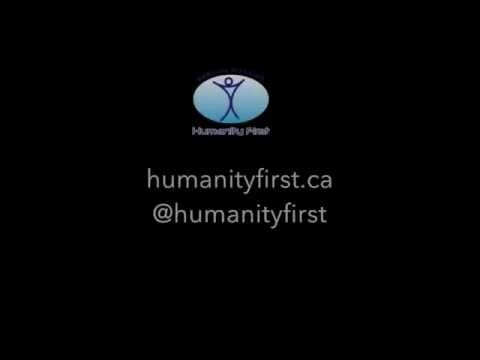 To help alleviate this issue, Humanity First is launching its Humanity First Shelter Bus project. The Shelter Bus will be a repurposed coach bus, optimized to provide a safe, comfortable place to sleep overnight. It will be outfitted with 20 beds, a kitchenette, lounge space, bathrooms and wifi. The Shelter Bus will not only cost less than a traditional shelter to operate, but its mobility will be a huge asset. We will be able to take the bus to areas where need is greatest, and respond to shifting shelter needs. For example, urban shelters are overcapacity in the winter months, dealing with novel challenges each night. The Shelter Bus could be dispatched to any location to respond to urgent need. It can also reach remote areas and be used to house people who have been temporarily displaced. Along with providing a place to sleep and other necessary facilities, we hope that our bus will raise awareness of the issues of homelessness. Every year, 900 buses in Canada are disposed of, often in the middle of their full life. What if, instead of leaving these buses to rust, we repurposed them to serve our underserved communities? Volunteer your services to help the day to day operations of the bus. Whether it’s being a driver, or a health and safety worker, we would appreciate any time you could give. We will need bus parts, bedding, carpeting, kitchen appliances, and other various materials to really get this thing going. If we can count on the materials donations, our costs will be driven down and we cans start helping people even sooner. We are looking for corporate sponsors to donate funds, materials, or services. With your help, we can get this bus on the road faster, and serve many more people. Our bus is a great opportunity to showcase your aid. Information and resources are a powerful tool. We would love to recommend your services to the people who use our bus, and work towards the common goal of helping those in need.